At least 20 people were taken to hospitals for heat-related illnesses at a Warped Tour concert Tuesday, authorities said. At least 20 people have been transported to nearby hospitals and at least 200 have been treated for heat-related illnesses at the Warped Tour concert at the Nashville Fairgrounds, authorities said. According to Nashville Fire Department spokesman Joseph Pleasant, the 20 victims were taken by fire crews and Vanderbilt University Medical Center paramedics on Tuesday. "We anticipate more as the first aid tent continues to stay full," Pleasant said. Vanderbilt LifeFlight public information officer Jerry Jones said under five of the 20 victims went to children's hospitals. By 2:30 p.m., relief came in the form of scattered showers. Some attendees fled to the Fairgrounds Speedway's covered bleachers for shelter, while others soaked up the rain as the music continued. The 2018 tour marks the 24th and final annual installment of the traveling punk rock festival, which has also served as a launching pad for massive acts including Eminem and Katy Perry. 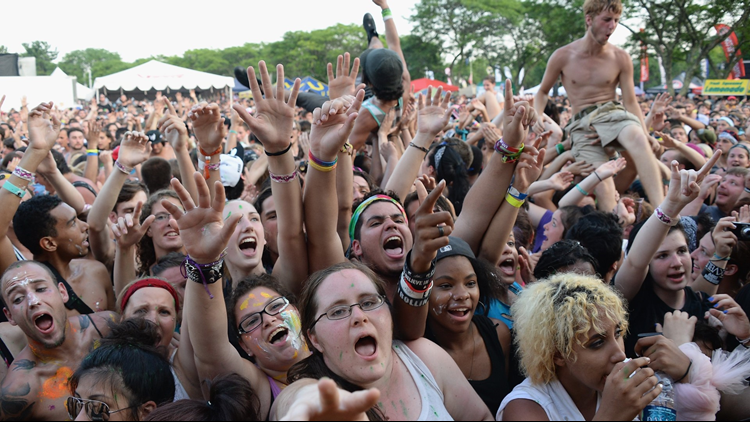 Throughout its run, Warped has attracted a notably young audience: as of 2015, 92 percent of the crowd was between the ages of 15 and 25. Jones said most of the people treated were young adults who weren't prepared for the heat. The tour was expected to draw 15,000 people to the fairgrounds. The gates opened at 11 a.m. Tuesday and, according to the tour's website, at least 60 bands were expected to perform. According to the National Weather Service in Nashville, the high temperature for the day reached 92 degrees Tuesday. The heat index is expected to climb to the upper-90s. In a tweet, the Nation Weather Service said "Although it's technically not as hot and humid as it was last week (currently a heat index of 97 degrees versus 109 degrees on July 4), it's still plenty hot out there. If you're outdoors for long periods of time, remember to stay hydrated and take frequent breaks in the shade or A/C!" Meteorologist Matt Reagan had tips to avoid any heat-related illnesses for those attending the concert. He said to stay hydrated, avoid the heat of the day and to avoid any alcohol consumption.